Spinson Casino is a great new online casino powered and operated by AG Communications Limited. AG Communications Limited games platform holds an impressive amount of casino games which are all provided by the best games developers in the online casino industry including IGT, Microgaming, NetEnt, NYX and Play’n GO just to name a few. When you play at Spinson Casino you will be able to enjoy some very cool features like a game-favorite add function so you can easily find your favorite games and the multi games feature which makes it possible for players to play several slot machines at the same time. Spinson Casino is licensed by Malta Gaming Authority and the UK Gambling Commission. 10 Free Spins on Starburst – No Deposit Required! All new and eligible members of Spinson Casino will receive 10 free spins on the NetEnt slot machine Starburst when you successfully register your account. 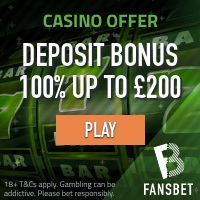 This free spin offer does not require a deposit. Your winnings from these free spins has a wager requirement of x35. Maximum cashout is €50. Deposit less than €30: get 30 free spins! Deposit €30 or more: get 50 free spins! Deposit €100 or more: get 300 free spins! Deposit €200 or more: get 600 free spins! Deposit €300 or more: get 999 free spins! The winnings generated from these free spins ha but you also needs a wagering requirement of x35 but you also need to wager your deposit x5 within three days. Spinson Casino accepts all major payment methods; Visa, Mastercard, Neteller, Skrill, PaySafeCard, Trystly, Bank wire and several regional payment/withdrawal option that vary from one country to the next. Spinson’s selection of casino games holds more than 450 video slots machines from the Every Matrix catalouge which includes games from NetEnt, Microgaming, Play ‘n Go and many more. Some of the most popular slot machines right now are Koi Princess, Stardust, Dazzle Me, Eye of the Kraken, Gonzo’s Quest and Steam Tower!